As my Victorian garden comes into flower this summer, I am continuing to document the blooms, not digitally but using an old film camera and some Pro-400H film. This little project began last year with some delicate aquilegias that caught my attention near an apple blossom that I photographed this year. 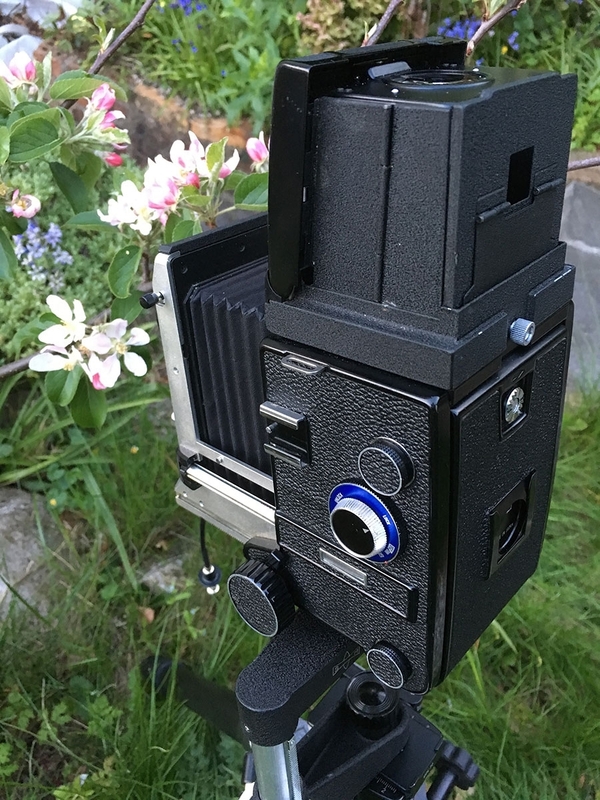 Initially, I bought, a 1960's Mamiya C3, a 6x6 medium format camera in wonderful condtion for just £100. Liking the setup, I soon bought a second camera, a C330f, similar in design with a few worthy additions. 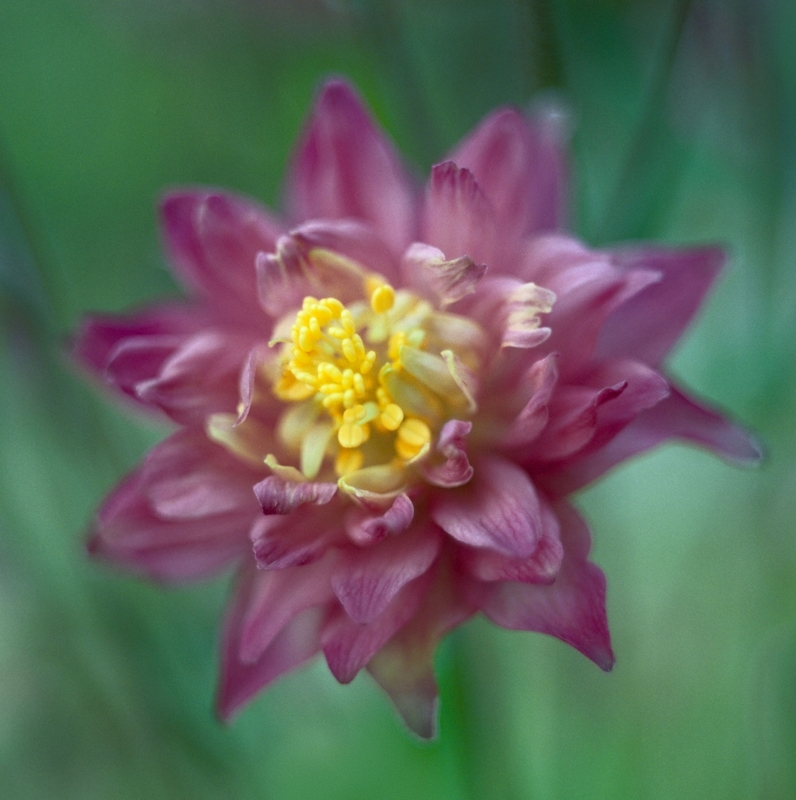 It can focus rather closely, even with a standard lens - a 65mm lens - which is about 43mm equivalent. It's a rather awkward and unusual camera setup to use for macro, but with a 55mm lens it focuses even closer at 1:1. I have continued to experiment with this setup when I can't get out in the landscape or on overcast days at home in the summer. It's quite straight forward - compose the shot throught the viewing lens and then wind the camera up a full 5cm to reposition the taking lens in its place. This them means you can't see the flower throught the ground glass screen anymore. You have to eyeball the subject very closely, watching for vibrations before taking the image. Then just wind the whole camera back down on the paramender and continue onwards. 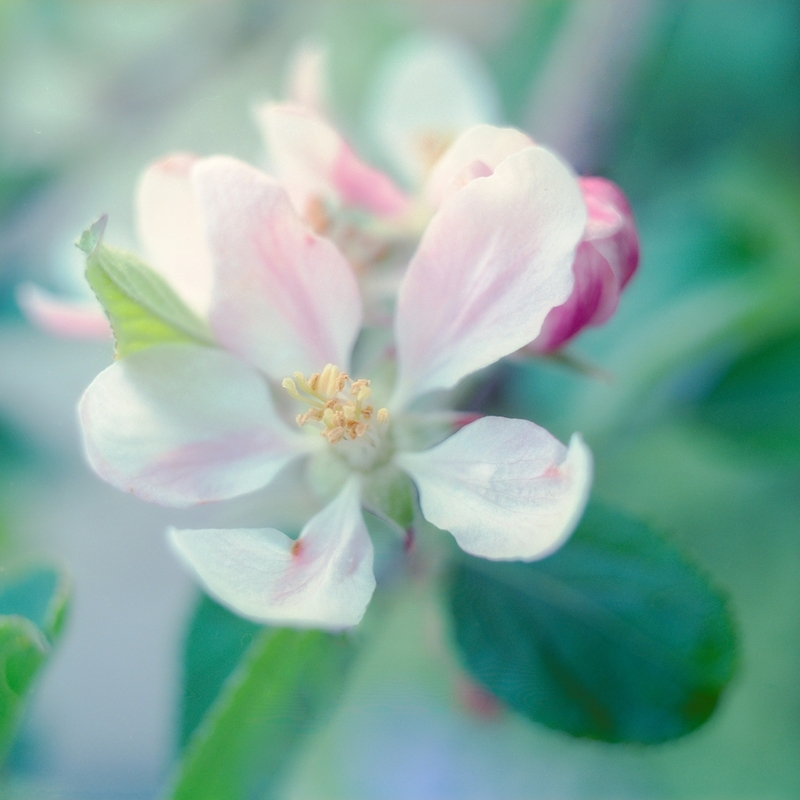 Here's the camera in action on some apple blossom, the picture taken above... it's the bellows that make the close focusing possible.